Thank you so much for attending conferences with your teachers last week. Our school philosophy states that parents are the primary educators, and our staff is honored to support you in the educational process for your children. We appreciate partnering with you to help your student on their learning journey. This Sunday is a Rise and Shine Mass at 9:30 am. Fifth grade students from the school and faith formation program will assist with key roles in this Eucharistic celebration. All families are invited to join us for this child-friendly Mass. and Friday the 26th is JEANS Free Dress to remind students they are JEAN-ious in their decisions! Additional information is listed below in the Red Ribbon section. Many of you may have begun your Halloween preparations. On October 31, we will have a noon dismissal and parents are invited to join us for our Halloween Parade at 11 am in the grass area of the upper lot. Students have been reminded in class that "group costumes" are not permitted at school to support our efforts of inclusivity for all students. Additionally, any accessories such as weapons or swords need to be left at home. Finally, students need to be dressed appropriately for school in accordance with the school handbook free dress policy. Please let Suzanne Kozel know if you have any questions. Parents, now that all families have signed up for their required shifts we have opened up the Sign-Up Genius for you to take on additional yard duty assignments! Each extra shift you work will count as a volunteer hour. Because student safety is paramount, we need to make sure that all shifts are covered. We thank you for your help in taking additional shifts for your volunteer hours. Family year-to-date Scrip Profit Statements will come home with your youngest child on Wednesday, 10/17. The Scrip profit recording year is January 1st - December 31st. If you choose to 'buy-out' after reviewing your report, just email your request to me and I will add your buy-out fee to your November tuition statement. We will hold our Annual Disaster Drill on Friday, November 2nd. Although we hope to never need to implement these procedures, it is imperative that we all review and practice the various aspects of the plan. On that day students are picked up between 11:15 and 11:45 am in the new plaza area at the end of school building near the cross walk. No students can remain on campus after 12:00 pm. Click here for the Emergency Drill form that you can bring to Disaster Drill pick-up. Forms will also be available at the Disaster Drill check-in table. Students will only be released to those listed on their student profile and ALL adults MUST show their ID. 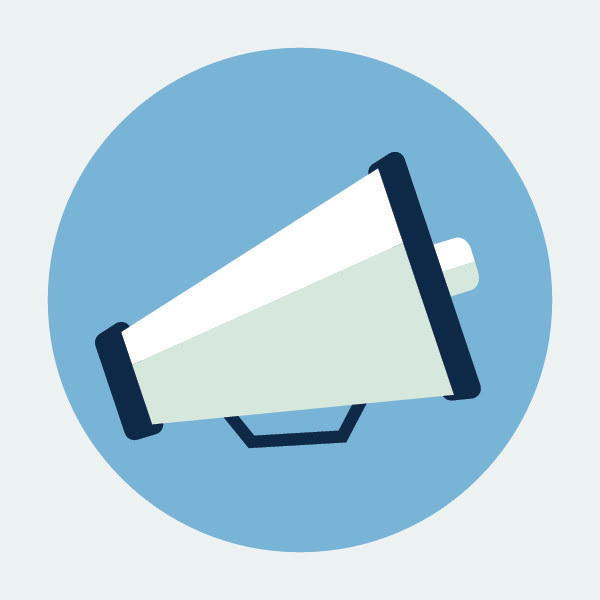 If someone other than the parent or another person already on your Emergency/Authorized Pick-up list will be picking up your child on the day of the Disaster Drill, please email the office with that authorized person's name. Panther House is closed that afternoon so that we can review the drill as an entire staff. Enjoy drinks & appetizers with friends while getting a head start on holiday shopping from an amazing array of local vendors. We are excited to bring back fabulous vendors as well as new ones you will love. Our variety has something for everyone at all price points! Meticulously designed tees to elevate the style of any wardrobe. Elegant reading glasses to fit your face shape. Classic American clothiers that have current relevance yet are innovatively nostalgic. Over-sized family blankets made of soft plush that are luxurious and cozy. Getting There: Parking available but Uber and Lyft are a great option. For Red Ribbon Week and to celebrate eating healthy, Leadership will be selling three types of Jamba Juice Smoothies for $5.00 each: Strawberries Wild, Razzmatazz, and Mango-a-go-go. Turn in your order form with payment no later than Wednesday, October 17! We're sorry-- we can't accept late orders, and there won't be any extras. Orders will be passed out on Thursday, October 25. Leadership is also hosting a Halloween art contest. You may use a coloring template of your choice or draw an original picture, as long as your theme is "Happy Halloween!" Only one entry per person. Please no 3-D elements. Be sure to write your name and grade on your entry and turn it into the office or black bag no later than Thursday, October 25th. Entries will be displayed in the hallway during the week of Halloween and winners from TK-K, 1st-2nd, 3rd-5th, and Jr. High will win a prize. Happy Halloween! Be sure to adhere to school rules when choosing your costume! Here is another great Parent Education opportunity! Monday Kick Off Rally at noon. It's a fun way to talk about nutrition! Friday: Wear jeans because "I'm a JEAN-ius... 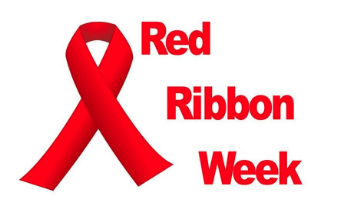 I choose healthy "
All Week, while supplies last: Buy a red rubber bracelet for $2. It's a fundraiser for American Heart Association. for being our fabulous Oktoberfest sign-up coordinator for food, hospitality, and volunteer slots. Awesome job, Brenda! 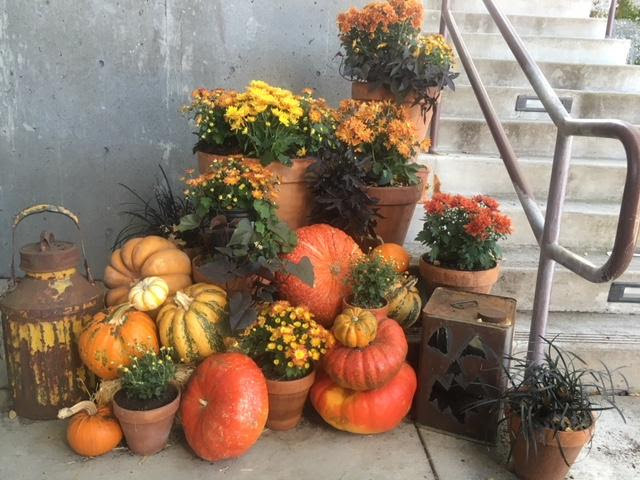 These gorgeous fall days start with crisp mornings so take the chill off this Friday at Cafe` Perpetua where you can warm up with a mocha or a spiced pumpkin latte. Our specials this week include apple cake, pumpkin and zucchini breads, basil pesto, and organic jams! We look forward to seeing you and thank you for supporting your children's Garden of Learning. Mrs. Gretchen Trapp, an E.M.S. Safety Services First Aid instructor, will be offering an after-school class on Basic First Aid class for 5th - 8th graders. This overview class is great for babysitters and anyone who wants to have basic first-aid knowledge! Click here for the sign-up flyer. Here are the October enrichment events sponsored by SEEDS! We will have a monstrously fun afternoon, including special Halloween treats, face-painting, and Halloween games like ghoul eyeball toss and pumpkin bowling. Email me if you would like your child to have their face painted and they will be the first to get theirs done. Children must be on the attendance roster for this day. We will not accept drop-ins on this day. 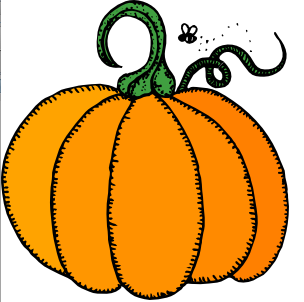 Wednesday, October 31: Halloween; noon dismissal. Children will be dismissed after the Halloween Parade. Panther House is closed in the afternoon. If your Jr. High Student is looking for service hours, we would welcome them on October 30 to come help decorate faces or run activities. There are 4 spots available on a first come, first served basis. We are looking for more snack donations. There are spots available as early as next week and throughout October. Please help if you can. You can sign up here. 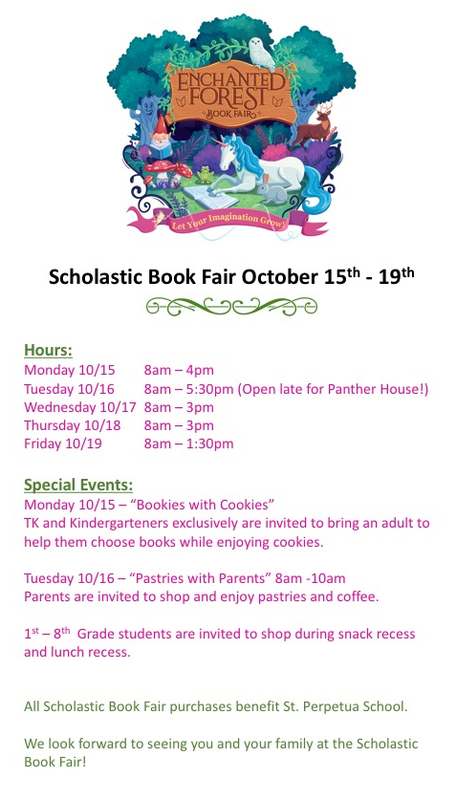 On Tuesday, October 16 The Book Fair will have special extended hours to help out those families who stay later and use Panther House. They will be open until 5:30 pm. 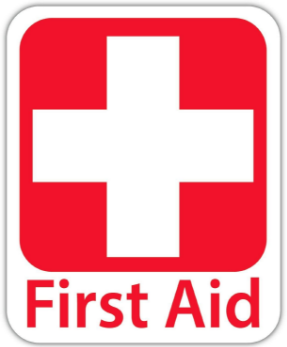 We are offering a one-day First Aid Class for 5th thru 8th grade. It's great if your child is planning on doing any babysitting this year! Sign up for one day, either Tuesday, Nov. 6 or Thursday, Nov 8. Click here for flyer. October 31: Halloween is a half-day. Panther House is closed that afternoon. Last April we were fortunate to have a wonderful Parent Education Night where Betsy Shandalov led a lesson to help students and parents learn to use mindfulness in their everyday lives. 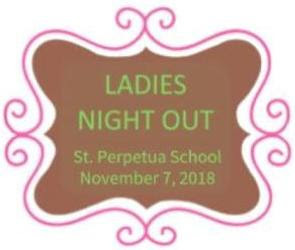 Since that event, I have been integrating mindfulness more often in my own life and in my work with students at St. Perpetua. 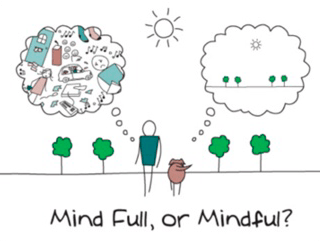 I am always impressed with how many mindfulness tools truly help students calm and refocus. Some of the proven benefits of mindfulness include: improved interpersonal skills, increased attention, decreased stress and anxiety, and strengthened compassion. These benefits lead to long-term improvements in life. I found this webpage very informative. The more we can all reinforce being mindful (at home, activities and at school), the more students will be able to integrate helpful mindfulness tools throughout their everyday lives.